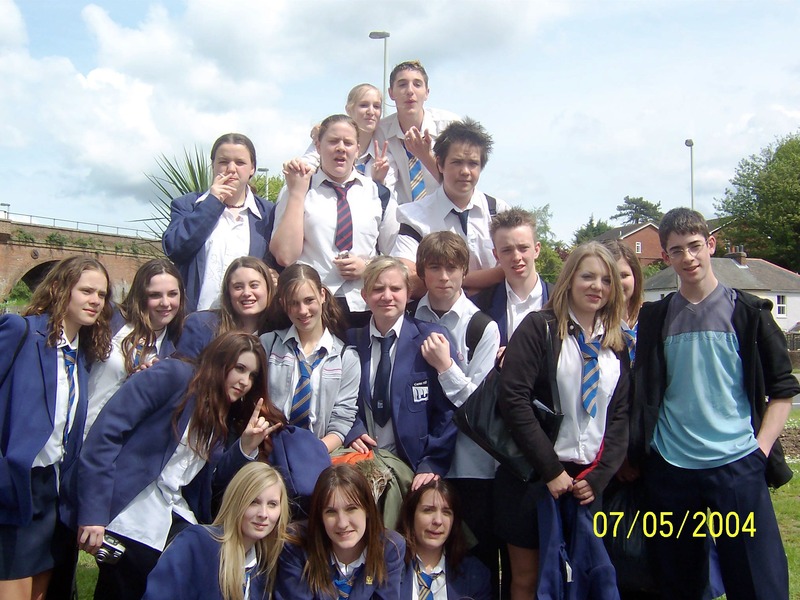 These photo’s was taken just over 10 years ago when we left school to go on study leave ready for our GCSE’s – which at that point were the most important things in our lives, they determined what we would be doing at college, what uni we were going to and at that stage I think we all probably thought what job we would end up doing. I stumbled across a memory book that a lot of people had written in a few weeks back and some of the words that they had written were lovely and its a shame that the friendships didn’t last. There was 4 of us (Katy, Jemma, Amy & Myself) that all lived close to each other and would find ourselves congregating at the local shops or on the grass verge of one of the corners of road, we never drifted too far from home and would often end up back at Amy’s (she had older brothers with good looking friends!) and there was no arguing that I can remember we just used to have a laugh! Back then I literally had zero responsibilities, no commitments and I was just living in the moment, I was close to quite a few people and we literally all lived in each others pockets for the last year at school and most of the first year at college…. 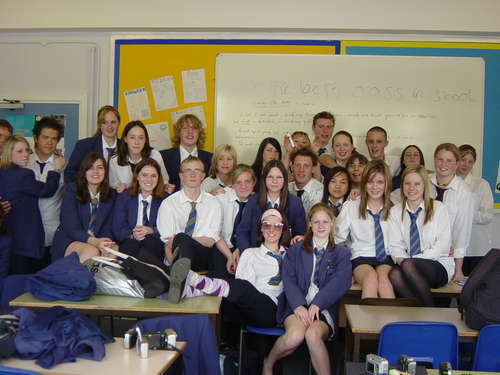 College started in the September of 2004 and I had decided to do a BTEC in Media in a local college where none of my friends were going. I remember at the time not being too bothered as I was sure I would remain friends with them anyway and I was never one to do something that everyone else was doing! I met some wonderful people during my time at college and I really did have a blast. College is where I met my best friend and actually apart from my family, the one person that has been a solid person in my live over the last 10 years! We would just get the train to college and maybe meet up in breaks as we were on the same media course, I left 1 year before her and strangely enough we didn’t drift apart, we kept in touch and ended up doing some random trips, holidays and multiple days out shopping! I also made a really good friend Becky, who when we finished our course went to work at Disney in Florida for 1 year, it was sad to see her go and unfortunately we did drift apart – but she was a good friend through those 2 years. Unfortunately, whilst I was making new friends I was drifting away from old friends, our interests started to change and I found that I didn’t fit in with their new circle of friends. I was lucky and still managed to keep contact with Katy and Amy on and off and to this day, Amy still lives up the road and we chat occasionally and myself & Matt have been to stay with Katy in Plymouth and whenever she is home I always try to meet up with her if I can! I also kept in touch with Mike, who during school we weren’t really too close, but over the last year or so when he started “going out” with 2 of my best mates at the time and he actually ended up becoming a really good mate and even though we don’t talk too often now, I would hope that if I needed him that he would still be there for me as I would him. During my college years, I was also working part time at a coffee shop and a night club – I love both my jobs and the people in both places were fantastic, I learnt so much from everyone! College finished and I started working full time, as I mentioned I kept in touch with Becky & Steph and would still occasionally talk to some of my friends from school, but I wont lie as people went off to uni and I stayed at home, I again lost touch with people and I was working in an older environment so I found myself unable to make any new friends, my weight also increased and I was becoming miserable. 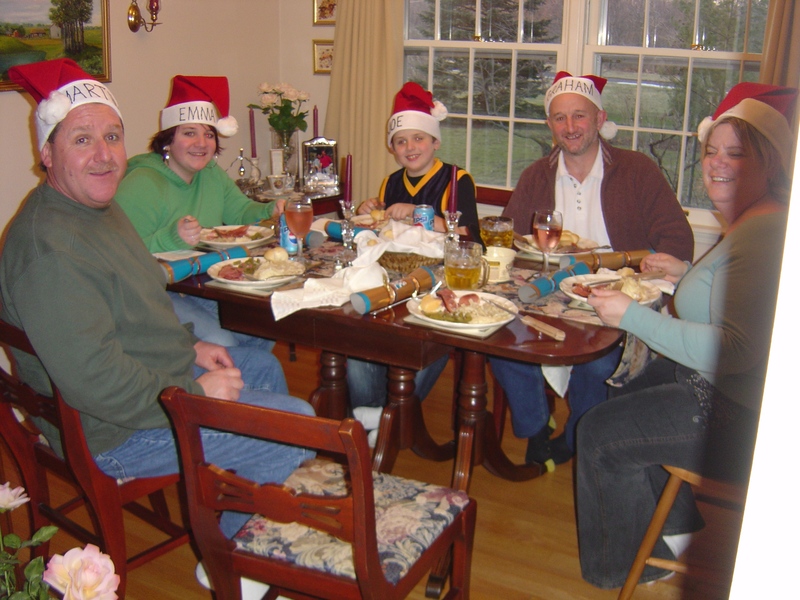 When I headed to Indiana in 2007 to stay with my godparents for the first time, I made a decision in those 2 weeks to look for a new job, in a younger environment with room for progression. I was lucky enough to find and be offered a job quite quickly and started working in my role in the July. 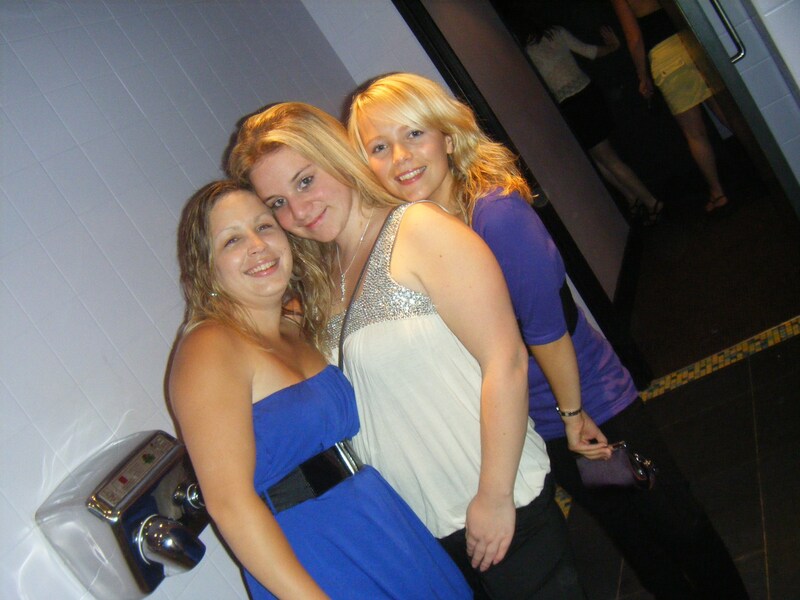 I was cautious at first to make new friends as it had been a while since I had really put myself out there, but I met 3 girls that really took me under their wings and for a while we had great fun and went out a lot and partied and I was losing weight and having fun. For the first time I was earning a good wage with prospects of moving onwards and upwards, I brought a brand new car – it was a 5 door and I remember my mum asking me if I was sure, the finance was over 5 years and I remember thinking (at 19!) that in 5 years I will probably be married and have a kid, so I will need 5 doors and a decent size boot for the buggy…..
One Of Our Many Nights Out! 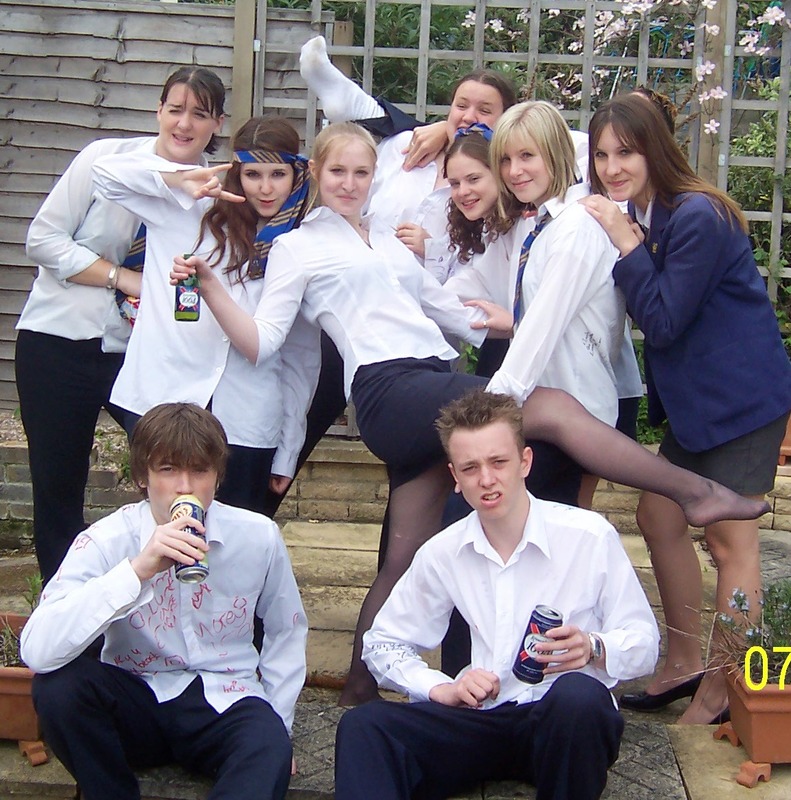 Unfortunately, I got made redundant in the April before I turned 20, I got made redundant – in the last 10 years from leaving school this is the one vivid memory where I can remember exactly how I felt, the panic, the worry. I had literally brought a new car 6 months previously, I had no idea how I was going to pay my finance, lucky we were given a good deal and I managed to find some temporary work before I got another full time job (funnily enough where I still am today), which I thought to myself, I will stay here until the market gets back to normal and I can go back into commercial mortgages….how wrong was I! I really landed on my feet in the job I am in now, the company is great the people that I work with are fantastic and I have progressed further than I ever thought or want to at the beginning! Not even a year after joining I decided that I was going to go on holiday to stay with my godparents again and I am glad I did, I had a fantastic time and cant wait to go back in a few days time! At that point in my life I was in what I thought was a loving relationship, but looking back now I would tell my 20 year old self that I was wasting my time in fact 6 months of my life “seeing” someone that I thought loved me back! what a waste! 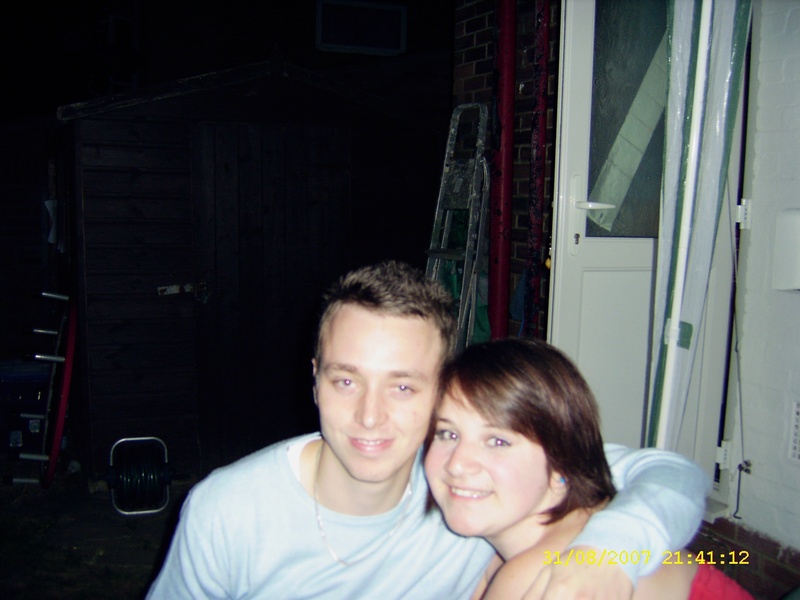 But about 2 months after I realise he was a waste of space, Matt got in contact with me and the rest is history…..
Now this blog post started its life this afternoon when I was talking with Heather at work and we were simply saying how different at 16 we thought our lives would be. If I am honest, at 16 I expected my soon to be 26 year old self married, with her own home and probably either pregnant or have a baby and a good career. Realistically, I have only just properly started saving for a mortgage, I still live at home, yes I have a stable relationship but as far as I know we are not close to getting engaged or married and I certainly haven’t had a baby OR pregnant! So to all those youngsters that are leaving school this year….don’t expect too much out of the next 10 years….life has a funny way of taking you down the path it wants you to go on, take a chance and enjoy the bumps in the road, you will learn so much from them. Don’t be upset if those close to you today don’t last the next 10 years, there will be something’s that they just cant support you through and others you will find that you have different priorities or morals as you grow individually. There will be people that come along that are unexpected and that will end up meaning more to you than you ever thought they would. Just enjoy the next 10 years….because I am sure the next 10 that I have to look forward to will be full of even more adventures that I cant even begin to imagine!